“It is worth remembering that when, as a society, we deem something absolutely necessary to beauty or happiness, some people will do absolutely anything to obtain it.”-Note at the end of book by the author. This sentence more or less sums up what this book is about. Like me, don’t get fooled with the cover and think it’s a historical bodice ripper. It’s far from that. It’s about Clara Carter and Lizzie, both 17 years old, entering their first season in New York. If you’ve read enough bodice rippers or historical YA, you’ll know what a season is. But you won’t find any handsome rake here. What you will get though are the De Vries brothers, Franklin and Harry. Franklin is the elder brother and hence the heir. So Clara, Lizzie and mostly all the girls debuted that season have their eyes set upon him. Clara though is a little different from most of these girls. Her mother died when she was very young, her father is a famous physician who wants to restore his wealth, position and take revenge from the De Vries because they lost all their money in the panic as it was deposited in the De Vris bank. Clara wants to marry for love and although she doesn’t want to adorn herself with heavy dresses and heavy ornaments and doesn’t want to wear a tight corset to reduce her waist to 16 inches, she doesn’t have any choice. She doesn’t rebel because she loves her father and she wants to make him happy. Along the way though, she discovers the value of friendship, that God will accept you as you are and all this glitter and glam is nothing more than a show. In the process of capturing Franklin’s heart and getting a proposal out of him she also discovers that marriage has to based on love. The author Siri Mitchell has highlighted the extent to which women in the Victorian age went to achieve that perfect 16 inch waist and to get a lifetime of wealth and privilege. 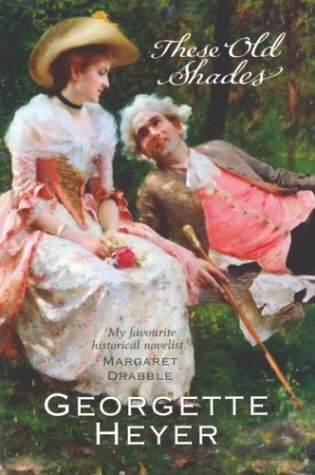 Even though this book is set in the Victorian times we still have the same problems in our society today to some extent. That’s probably why we have models who are all skin and bones and have shows like Bridalplasty. Although I love romances, I loved how it’s not the main focus of this novel. It’s more of a coming of age story, of breaking the bonds that society has set for us and of differentiating between the right and wrong. I loved how the novel preaches without actually preaching. I thought the book a was bit slow at first because I was expecting a romance novel but sometime after 100 pages I looked at one of the blurbs on the front cover and realized that this was Christian fiction. Any complaints I have for this book are because I was expecting something else, so I wouldn’t really mention them here. All in all a very satisfying read. Siri Mitchell is a very talented writer and I look forward to reading more books by her. As a review for a book, this might contain spoilers but since Rani Lakshmibai is a historic figure, the time line and major events in her life are well known. As an Indian I know that Rani Lakshmibai is known as one of the greatest warriors in India and the fact that she was a woman gives her an entirely different status altogether. It is sad to know that not many people outside India know who she was. Rani Lakshmibai was born in 1828 with the name Manikarnika and grew up under her fathers love and care. He taught her different languages and horsemanship and everything that was accessible only to a man in those days. She married at the tender age of 14 to the Raja Gangadhar Rao Nevalkar of Jhansi who was almost her fathers age. Manikarna became the Rani of Jhansi and her name was changed to Lakshmibai. See the Jhansi Fort below. She gave birth to a son 8 years into the marriage but unfortunately he died when he was 4 months old. Her husband died soon after because of poor health. Barely in her 20’s, Rani Lakshmibai had to take over the reign’s of Jhansi. She adopted a boy whom she named Damodar as she had no son of her own. But the British, who had taken control over many provinces in India in the same pretext, refused to acknowledge Damodar as an heir. As Rani Lakshmibai was trying to find a way out of her predicament, discontent was brewing among the natives in the British army. The discontent reached its peak when British wanted the sepoys to open the new Enfield rifles that were coated with beef and pork fat by biting them. As cows are sacred to the Hindu’s and pork not eaten by Muslims, it was the last straw along with the other problems the native army was facing. This led to the famous mutiny also known as India’s first war of Independence which started in May 1857 in Meerut after which it spread to various parts of India. Many English men and their families were slaughtered and a few of the territories taken back from the British. Rani Lakshmibai was one of the leaders of the revolt and marched along with an army with her childhood friends Nanasahib and Tantia Tope to Gwalior. Rani Lakshmibai died in battle on June 17th 1958. 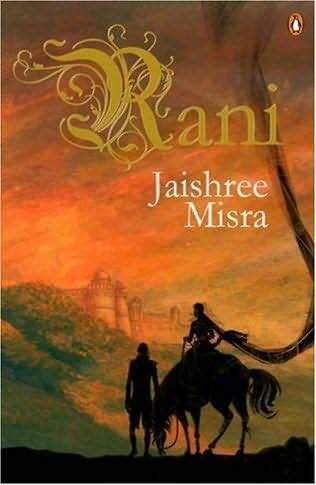 The author Jaishree Misra has not only managed to capture the warrior spirit that the Rani was reknown for but has also effectively managed to captured the woman in her. Ms. Misra shows us the child that Manikarnika would have been, the apprehension of a young girl that was married and made a Queen and the fear and helplessness that the woman and ruler of Jhansi felt. Along with this she also captured the loneliness caused by her husband’s and son’s early death and the kind of mother she would have been to her adopted son Damodar. Rani is not just about Rani Lakshmibai’s life and rule as a Queen. It is, as every good historical novel should be, a story that is intermingled with the circumstances of that time-the British occupation of India and neighboring countries and the 1857 uprising. So the reader does get to know a lot about that time period. I was enraged by the British who conveniently changed policies to suit themselves. Although we were taught all this in school, the details in the book made me feel like I was learning everything all over again. The only thing I didn’t like about the book is that Rani Lakshmi and Robert Ellis (the British political agent of Jhansi) were shown to have romantic inclinations towards each other, which not only seems absurd but could also hurt the sentiments of a few people (considering Ellis was British and hence enemy). I get what the author was trying to project but she should have taken into account how sensitive some Indians can be about their heroes. But I really do wish that the real Rani found some love with Robert Ellis in reality too. Other than that this book could be a little tedious for someone not interested in the Indian Freedom struggle or someone who is not aware of India and it’s freedom struggle at all. This book deserves to be read just because it is one of the very few novels on Rani Lakshmibai. The fact that it is beautifully and sensitively written is a major plus point. Highly Recommended. This book counts for the South Asian Challenge. Cleopatra’s Daughter is the story of Selene, who after the death of her parents, Cleopatra and Mark Antony, had to travel to Rome from Alexandra as War Prisoner along with her 2 brothers Alexander and Ptolemy. Ptolemy died in the ship on the way to Rome. When they reached Rome, Octavian paraded them in chains as his conquests. Later he appointed Octavia as their caretaker. Octavia was his sister and Mark Antony’s ex-wife. But Augusta was a kind woman and never held anything against Selene or Alexander in spite of the fact that Mark Antony had abandoned her and her children to marry their mother. Cleopatra’s Daughter is the story of Selene seemingly interspersed with the political background of Rome. Selene is such a strong character and Ms. Moran brings forth her trepidation, anxiousness, fear, determination and strength of character very well. And then there are other characters too who are equally if not more enchanting. There is Octavian who would do anything to have power over Rome, Octavia who took care of the children as if they were her own, Marcellus, Alexander, Julia and of course Juba. He was someone I paid the most attention to right from the beginning although I didn’t know anything about Selene’s history. I have to admit that these very characters confused me in the beginning for the only reason of having to remember their names and these eventually were the same people I came to love and understand. And then above all this is the way Michelle Moran brings ancient Rome to life. She does it with the same skill that was evident in Nefertiti and The Heretics Daughter. It made me want to visit Rome just to see the places these people lived in once upon a time. What more can I say about Michelle Moran that hasn’t already been said before? When I went to a bookstore back in India once, the sales person told me that Michelle Moran books sell like hotcakes. That’s because Michelle Moran writes historical fiction in a way that makes you want to flip the pages like you would do for a thriller. She knows how to make history accessible to all kinds of readers. There is something for everyone in this book. Highly Recommended. 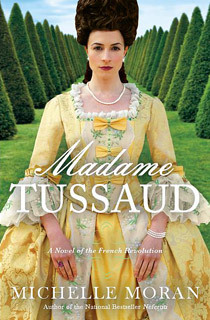 Note: Another news I am very excited about is Michelle Moran’s next book called ‘Madame Tussaud‘ is coming out in April 2011. Long wait but so worth it. I have read quite a few books on Witches and witch trials but I don’t think there are many written on the 1612 Pendle witch-hunt trial, at least not as beautiful as this one. The author, Mary Sharratt, has focused on the story of Bess Southerns or Mother Demdike as she was known around that part. Bess Southerns is a poor, old widow who lives in the Malkin Tower with her daughter Liza and her grand-daughter Alizon and grandson Jamie. Bess is a healer, she is known as a cunning women for her healing skills. She uses her old Catholic faith to pray for others even though it’s a banned faith and the retributions could be high. One small mistake, one small rumor and she could be hanged. Bess always tries to tread the right path and not harm anyone, to always use her gift for the good. She teaches her healing charms to her best friend from childhood, Chattox. But in poverty and helplessness, she turns to dark magic. What this does to their friendship is indeed very sad. When Bess tries to teach her granddaughter Alizon some of her magic, she refuses. She is scared and runs away from the power that could be hers, which eventually lead to the Pendle witch trials. Mary Sharratt’s writing is as beautiful as her descriptions are vivid. What I loved most about this book was the sense of place. She brings this time in Lancashire, England alive for the readers. She has used some excerpts from the book written by court clerk Thomas Potts which makes it even more real. Since it is based on a true story, I knew what was going to happen in the end, but that didn’t stop me from biting my nails and wishing and hoping that it did not. Another thing that is very striking about this book are the strong female characters. In spite of their poverty and desperation, these women shine. They fight for their existence and try to keep their head high in the worst possible situations. This is one book that will stay with me for a long time. For those who like to read about the witch hunts, definitely read this book. But even if you are not interested in them, you will definitely like this book. The daughters of the Witching Hill is so much more than just another witch-hunt story. At the center of East of the Sun are 3 women, Viva, Rose and Tor. Rose and Tor are childhood friends and are sailing to India for Rose’s wedding to a British military man. Viva is supposed to be their chaperon for the journey. Guy, a 16 year old boy is another charge she has to take due to shortage of money. What follows is their journey from the U.K to Bombay (now Mumbai) and then their individual journey’s through India in the 1920’s. While I really enjoyed the first half of the book, the second half felt a little too long for me. I’m not sure if it’s the book or the fact that I have very less patience with chunksters, blame it on library due dates and on the towering TBR pile. The stories of all the 3 women were interesting but very long. There were a lot of unnecessary details which does contribute to number of pages. What I liked most about the book was the atmosphere created, whether it was Mumbai or Ooty, I could picture everything in my mind. One thing I would like to add here is that Poona (Pune) is not hot in November. I thought I could just correct that. The book is set in 1920’s, during the British occupation of India, so I expected a bit of Indian-British clashes, but here it almost felt pro-British. But considering it’s a novel that is not based on the Independence struggle I let that go. There were also a few inaccuracies in the book, especially the translation of a few Hindi words, but again nothing that non-Hindi readers would mind. Overall its a descent book with settings you might enjoy if you like reading about India. Guardian of the Flame takes us to 48 B.C Alexandria, Egypt. It’s the time when Julius Caesar and his troops have taken control of Alexandria and Cleopatra and her younger brother Ptolemy are in exile. But…this is not the story of Cleopatra, it’s the story of Sophia who is Cleopatra’s tutor and is the keeper of the strategic lighthouse. Sophia is a woman who has made the lighthouse her refuge and has refused to mix and mingle with the town people. She has closed her heart to every possibility of love in every form for the fear of causing her more pain. This fear has a history of course which is revealed in due course of time. In this fortress of hers enters Bellus, a Roman General, who is given the task of guarding the lighthouse considering it is the most strategic location in Alexandra. Bellus, who although is a great warrior, is very interested in knowledge and books as well. He is attracted to the mystery that is Sophia and in the end tries his best to guard his heart against what he sees as an obviously wrong and fatal attraction. Guardian of the Flame is essentially a historical romance, both aspects of which the author T.L.Higley can write very well. The romance between Sophia and Bellus was so well done. She definitely knows how to build a convincing romance while also describing the turbulent conditions in Alexandra during that period. She has a rare skill of not letting one aspect of the story overshadow the other. That brings me to the history. Honestly I didn’t know much about Cleopatra and Caesar and I got to know so much about it through this book. Of course I did Google a little afterwards just to find out how much was fact and fiction. She describes the hub of knowledge and discovery that Alexandra once was and builds a story around it too. Also the incident where Cleopatra hides inside a carpet and then rolls out of it in front of Caesar was priceless. The author describes what Cleopatra must have gone through during that time. I had a hard time believing it actually happened and that it was not the author’s creation. T.L.Higley knows how to convincingly mix history and fiction and make it appealing to an average reader too. If you haven’t tried one of her books, you really ought to. Start with Shadow of Colossus, a book, I absolutely adored but then do read Guardian of the Flame too. Both these books are part of the 7 wonders of the ancient World Series. The beauty of the series is that each book stands independently so you can start with any book that appeals to you. Note: This book is also categorized as Christian fiction but it’s not in the face, so non-Christians like me can enjoy it as well.